Once you have decided to join the ranks of homeowners, you need to decide what type of mortgage is right for you. The most conventional choice for home loans is the 30-year mortgage. The 30-year mortgage started to grow in popularity in the 1950s and quickly became the loan of choice. While the 30-year mortgage is still the standard, the 15-year mortgage may be something to consider for new homeowners. Is a 15-year mortgage right or you? Let’s review the pros and cons of this fast growing option. Overall, a 15-year mortgage will cost you less than the traditional 30-year mortgage. Yes, you will be paying the loan off in half the time, but there are other factors that will save you money by choosing the 15-year loan in the long run. The interest rate on a 15-year mortgage is generally one quarter to one whole percentage point less than the interest rate on a 30-year mortgage. Mortgage lenders view a 15-year mortgage as carrying less risk than a 30-year mortgage, therefore allowing for the lower interest rate to its borrowers. Since you are paying less for your interest rate, and your loan term is only 15 years vs 30 years, you will be paying far less interest overall, savings you thousands of dollars. You will build the equity in your home much faster with a 15-year mortgage since you are paying far more principal each month. Paying off your home loan in as little as 15 years allows you a greater cash flow to speed up retirement or pay for your children’s college tuition. Though the interest rate is generally lower with a 15-year mortgage, the monthly payment itself is significantly higher. Being locked into a higher monthly payment may prohibit you from being able to save for retirement, or worse, there is the potential this higher payment could make you “house poor” depending on your finances. Having a shorter-term mortgage is not worth it if you will be struggling with the basic essentials such as clothing or putting food on your table. Though you will be able to build the equity in your home much quicker with a 15-year mortgage, you might be unable to build your children’s college funds or your own savings for retirement. While the lender is allowing for a lower interest rate with the 15-year loan, you will generally qualify for a lesser amount. The reasoning is your monthly debt-to-income ratio is higher with the 15-year loan. This may lead to you having to choose a more modest home than you might choose if you qualified for more with a 30-year loan. Be prepared for emergencies. A change in your employment or a sudden illness will often have a negative effect on your finances. If you or your partner get sick, will you be able to cover you mortgage payment and healthcare costs? 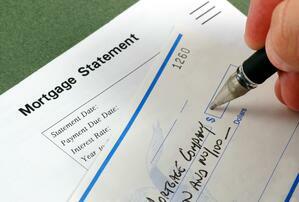 Your mortgage payment remains the same even if your financial situation does not. You can almost pay more monthly on a 30-year loan, however you cannot pay less than you owe on a 15-year loan. There are many factors to consider when trying to determine if a 15-year mortgage is right for you. While the 15-year mortgage can you save a significant amount of money, it is certainly not necessarily a wise choice for everyone. Everyone’s circumstances are different. If you are the least bit unsure if the 15-year mortgage is a safe option for you, contact a financial planner. Go over the pros and cons with a professional that can help guide you to make the right decision.